MASSIVE news!! Little Big Town are hitting the road on the Breakers tour with support from the incredible Grammy-award winning Kacey Musgraves and up-and-coming band Midland! Coming to the St Augustine Amphitheatre on Friday 4th May 2018!! 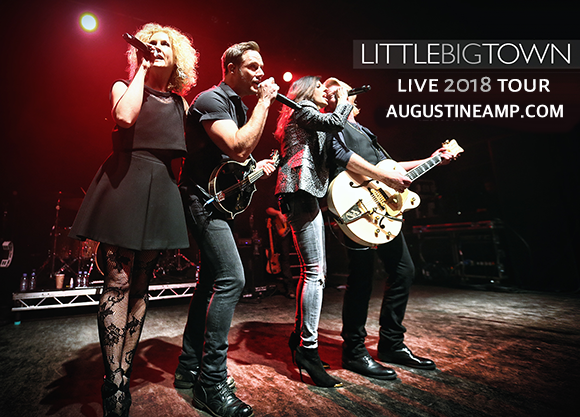 A truly unforgettable show, Little Big Town, Kacey Musgraves & Midland will leave you wanting more… Tickets are available now – what are you waiting for? Get ready to hear “The Breaker,” and all the songs you know and love live – get your tickets TODAY! !